As a consumer do you feel you are represented enough in the fashion and advertising industry? Diversity in the fashion industry is a big conversation and is something that has been talked about alot on blogs, social media and the media itself, but do we feel fashion brands are listening? The perception of fashion needs to change, consumers are not all white caucasian, size 8-10 and 5ft9, infact only a small minority are! Diversity continues to be the advertising industry’s greatest opportunity. 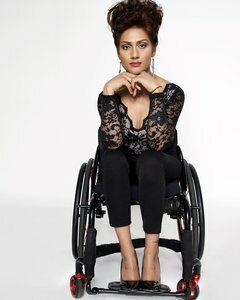 Brands can not afford to be stuck in the past and need to be more accepting of using a more diverse range of models to promote their brands, including models with disabilities. 19% of the population have a disability, that’s approx 11 million people, so it’s important we see disabled models in the fashion world. This shouldn’t be something that is done as a token gesture either, it needs to be mainstream. The Models Direct team represent a variety of models and talent with disabilities, some of which have received regular work and worked with some exciting brands. As an agency we have noticed the demand for plus size models has grown, brands and designers are recognising that their consumers want to be represented accurately in the industry and be able to see what the clothes would look like on someone of a similar size rather than a size 6-8! If you are a brand or business looking for talent to represent and promote your brand or service then contact our bookings team, bookings@modelsdirect.com, the Models Direct booking co-coordinators will be very happy to provide you with a selection of talent who vary in look, size, age, ethnicity and ability.